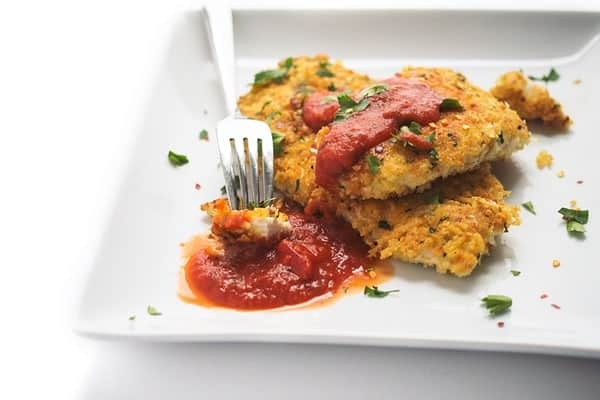 A fast and easy chicken parm recipe, these tender and juicy chicken cutlets are coated in parmesan and crispy panko breadcrumbs. We are traveling to Boston next month for my husband’s 40th birthday and I couldn’t be more excited to spend time with family and friends! My husband grew up in Boston and that’s where we first started dating back in 2001 when I was a senior at Boston University. One of our favorite date nights was and remains a visit to the North End for an authentic Italian meal. Inevitably, my husband always orders the chicken parm which is traditionally deep friend, overly salted and way too greasy. 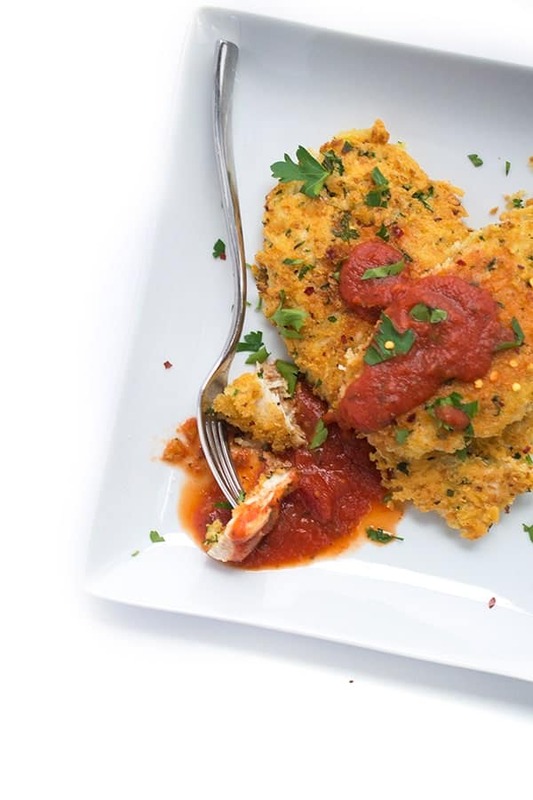 My version uses lower calorie but higher flavor shredded parmesan right in the panko crust to ensure that each juicy bite is packed with flavor. You can serve these chicken cutlets over whole wheat pasta but I love eating them on their own over a bed of spicy arugula tossed in lemon juice and olive oil. What are your favorite Italian comfort foods? Are there any you’d like to see me lighten up a bit? Let me know! 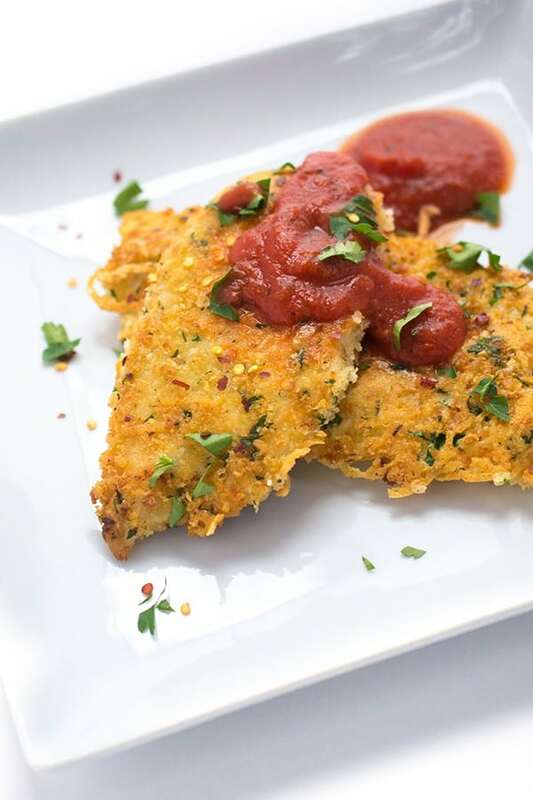 A fast and easy parm recipe, these tender and juicy chicken cutlets are coated in parmesan and crispy panko breadcrumbs. Pound out chicken breasts until they are 1/4 inch thick using a meat tenderizer. Sprinkle each side with salt and pepper; set aside. Whisk together eggs in a shallow glass baking dish and set aside. In a second shallow baking dish, mix together panko, parmesan, parsley, garlic and chili flakes. Working one breast at a time, lightly dip the chicken into the eggs and then press both sides firmly into the parmesan panko mixture so that the chicken is completely coated in cheese and breadcrumbs. Heat the olive oil in a non-stick pan over medium high heat. Sauté until chicken is golden brown and firm to the touch, about 3 minutes per side. 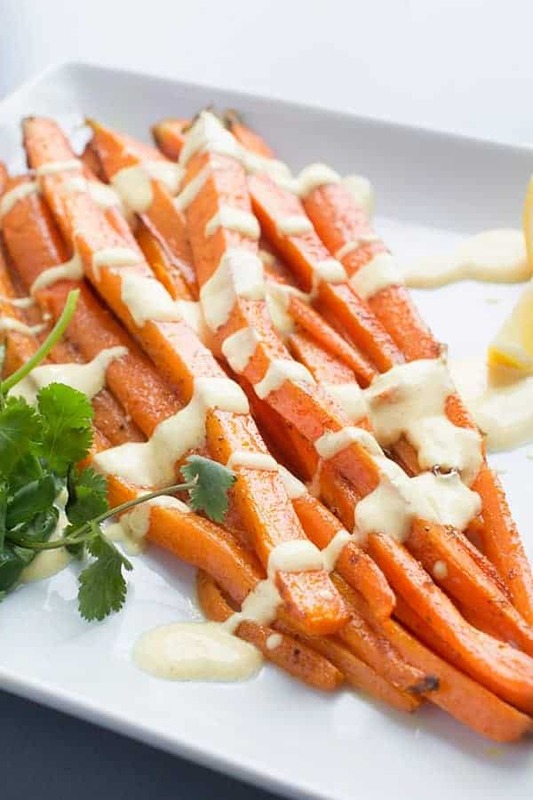 Serve with additional chili flakes and marinara sauce for dipping. 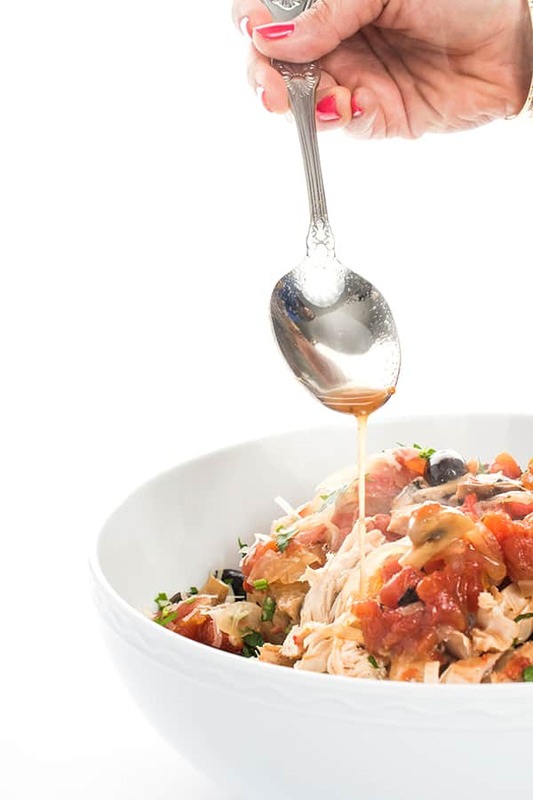 For more Healthy and Easy Dinner Ideas, check out my Pinterest page! Parmesan chicken was always a favorite of mine! This looks SO good! I love how easy it is to make too! 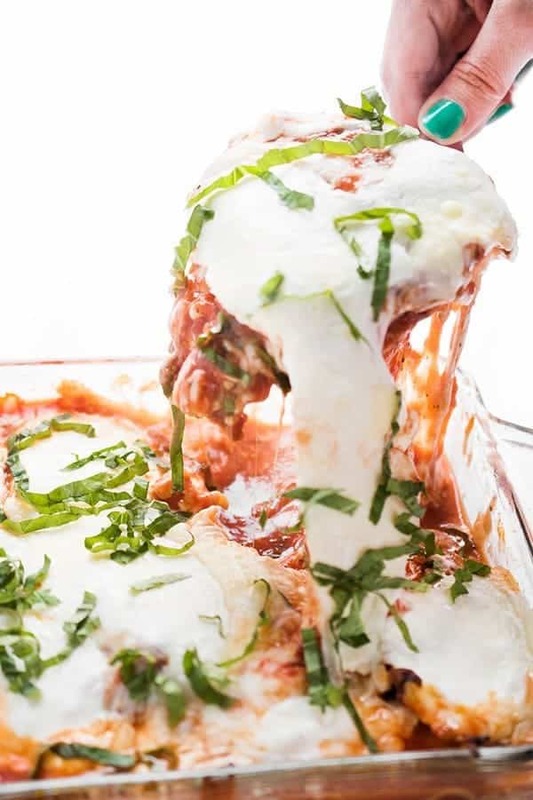 Love this lightened-up chicken parm! One of my favourite indulgences is a chicken parm sandwich, which I always get with extra cheese and all the fixings. 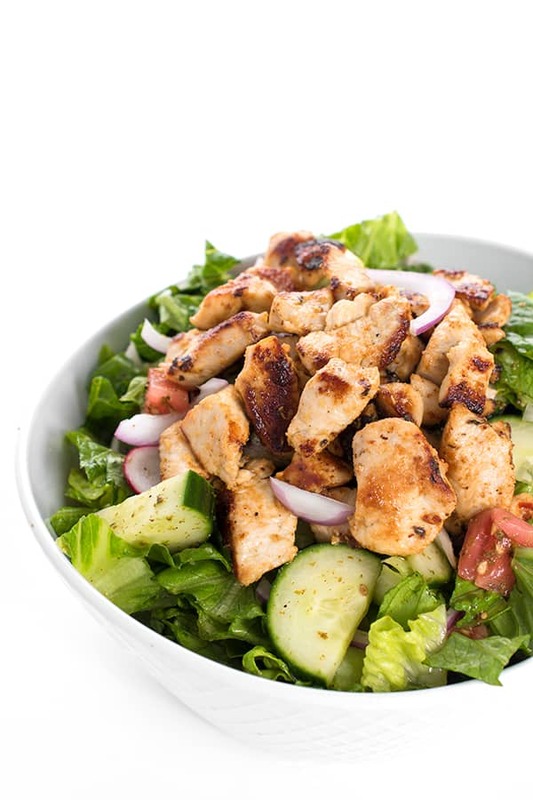 It’s a total calorie bomb, but oh so worth it. Might be nice to try making a lighter version at home with these cutlets as a starting point, though. PS: Hope you have a great time in Boston. So much good stuff to eat! Ooo love the idea of turning it into a sandwich!! Thank you so much -we can’t wait to go back! Have a blast in Boston! I love it there. It has such a more chill vibe than NYC and the people are generally nicer…haha. This chicken parm looks great. I was just telling Art I need to make this because I have had a major craving! haha I totally agree with you – it’s so much more chill than NYC!!! I hope you make this sista! I make far too few panic-coated dishes around here. This looks like a great one to try on my family! Have a great time in Boston! Your family would love it! Thank you so much Brenda! 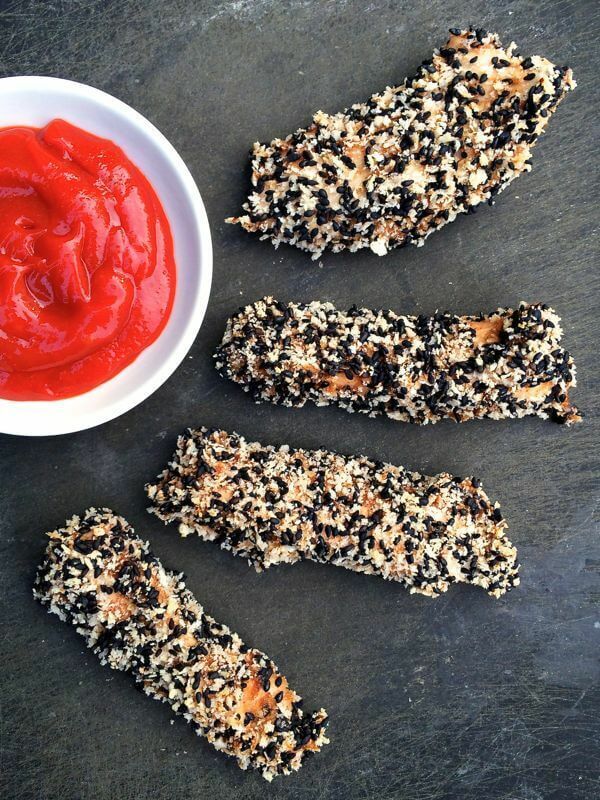 I’ve been making Dave gluten free chicken tenders but haven’t thought to add Parmesan, that will take those to a new level! Thanks for sharing! Oooooh I bet he’d love it! !